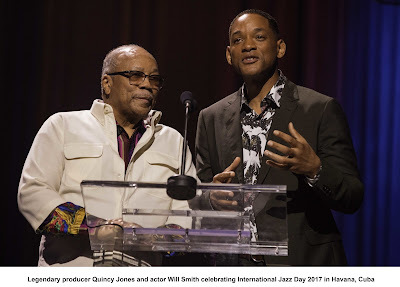 TMIJ/UNESCO, International Jazz Day 2017, Sun. April 30. 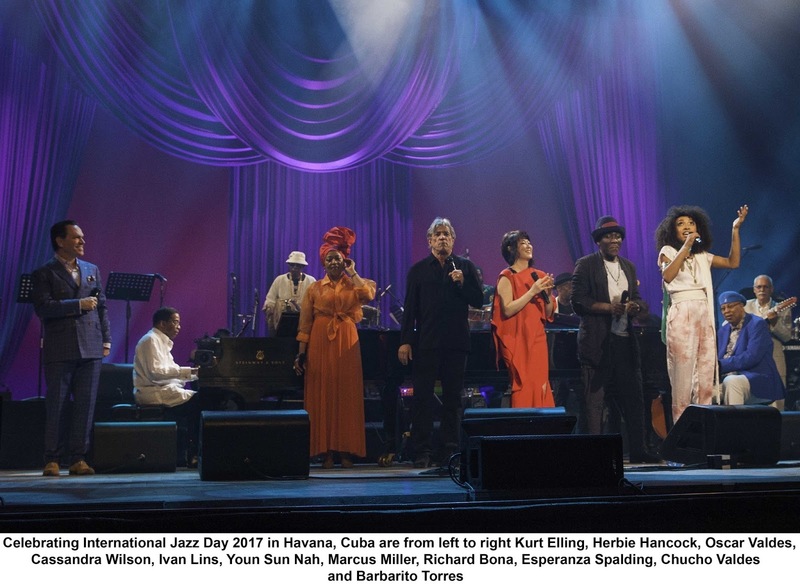 Following thousands of events taking place in over 190 countries, International Jazz Day 2017 culminated in a phenomenal concert streamed worldwide from Havana's historic Gran Teatro de La Habana Alicia Alonso. As the International Jazz Day 2017 Global Host City, the musically vibrant city of Havana also presented a wide range of concerts and education programs in partnership with Cuba's Ministry of Culture, the Cuban Institute of Music, and the Cuban National Commission for UNESCO. Established by the United Nations Educational, Scientific and Cultural Organization (UNESCO) in coordination with the Thelonious Monk Institute of Jazz, International Jazz Day is recognized on the official calendars of UNESCO and the United Nations. Each year on April 30, International Jazz Day highlights the role of jazz in promoting freedom, creativity and intercultural dialogue, and uniting people from all corners of the globe. Toyota served as Lead Partner of International Jazz Day 2017. The Global Concert began with an all-star group of musicians from Cuba and around the world performing "Cuba Bop" and "Manteca" in tribute to the groundbreaking 1940s collaboration between Dizzy Gillespie and Chano Pozo that blended Afro-Cuban music and jazz. Acclaimed vocalist Cassandra Wilson performed her sultry composition "You Move Me" and Cuban trumpet virtuoso Julio Padrón played Freddie Hubbard's inventive "Byrdlike." Beloved Cuban vocalist Bobby Carcassés joined forces with master bassist and vocalist Richard Bona of Cameroon for a fiery rendition of the Latin jazz tune "Bilongo." "Bésame Mucho" showcased the global influence of jazz, with pianists Youn Sun Nah (Republic of Korea) and Tarek Yamani (Lebanon); bassist Esperanza Spalding and violinist Regina Carter (United States); and drummer Antonio Sánchez (Mexico). To mark the centennial of jazz icon Thelonious Monk, legendary Cuban pianists Gonzalo Rubalcaba and Chucho Valdés gave a stunning performance of the classic "Blue Monk." The concert came to a exhilarating end with artists including pianist Herbie Hancock, bassist Marcus Miller, vocalists Kurt Elling and Ivan Lins, French guitarist Marc Antoine, and Cuban percussionists Yaroldi Abreu, Adel González, Ramsés Rodriguez and Oscar Valdés performing the John Lennon anthem "Imagine."